New York, July 27 (Just News): United Nations Chief Antonio Guterres has warned staff that the world body is running out of cash and urged member states to pay what they owe as soon as possible, according to letters seen by Reuters yesterday. 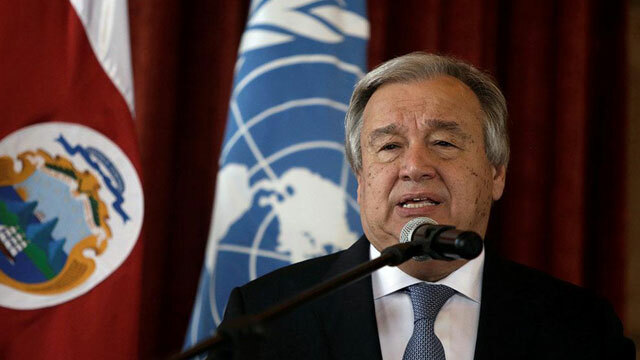 Guterres said in a letter sent to member states on Wednesday that as of June 30, the core UN budget had a deficit of $139 million and the United Nations had "never faced such a difficult cash flow situation this early in the calendar year." "An organization such as ours should not have to suffer repeated brushes with bankruptcy. But surely, the greater pain is felt by those we serve when we cannot, for want of modest funds, answer their call for help," Guterres wrote. The UN General Assembly budget committee agreed in December on a $5.4 billion core UN budget for 2018-2019, which US Ambassador Nikki Haley said was a cut of $285 million from 2016-2017. UN peacekeeping is funded separately. By July last year, 116 countries had paid, compared with 98 in 2016. China, France, Russia and Britain - the permanent members of the UN Security Council along with the United States - are all paid up for 2018. Guterres told staff he was concerned with a broader trend: "We are running out of cash sooner and staying in the red longer." He said the United Nations would take measures to reduce expenses with a focus on non-staff costs. "The inefficiency and overspending of the United Nations are well known. We will no longer let the generosity of the American people be taken advantage of or remain unchecked," she said in December, when the core budget was agreed. Under UN rules, if a country is in arrears in an amount that equals or exceeds the contributions due for the previous two years, it can lose its General Assembly vote unless the country can show its inability to pay is beyond its control.